A smart home or building is a home or building, usually a new one, that is equipped with special structured wiring to enable occupants to remotely control or program an array of automated home electronic devices by entering a single command. For example, a homeowner on vacation can use a Touchtone phone to arm a home security system, control temperature gauges, switch appliances on or off, control lighting, program a home theater or entertainment system, and perform many other tasks. 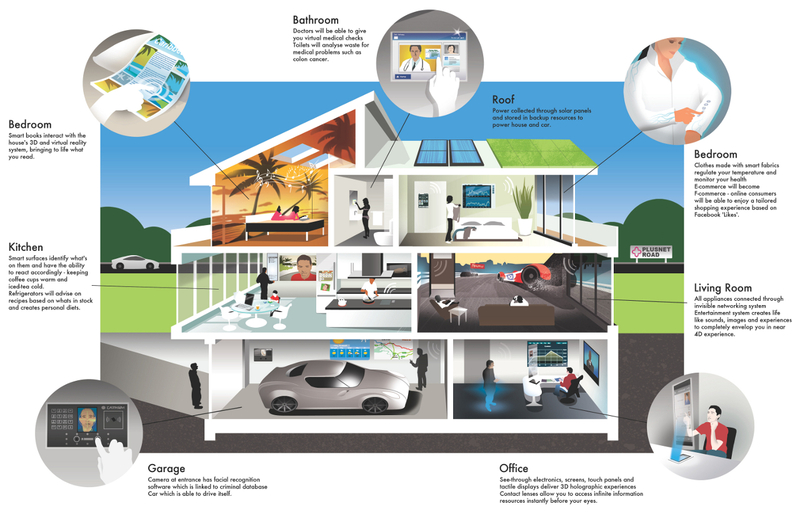 The field of home automation is expanding rapidly as electronic technologies converge. The home network encompasses communications, entertainment, security, convenience, and information systems.